The Australian healthcare system is considered to be one of the best healthcare structures or systems in the world. Medical or healthcare facilities are provided by the government of Australia through Medicare. But for certain areas like dental insurance people need to get private insurance. Therefore, the healthcare system in Australia consists of both public and private medical and/or healthcare insurance. The Australian health-care system is freely available and accessible to people irrespective of income or type of insurance. It is an essential and integral part of a country, or more rightly said, a developed country, to have a very good healthcare system. The responsibility mainly lies on the government of a particular country to make sure that the residents of that country are getting best medical and healthcare facilities, keeping in mind the affordability and convenience, along with some other major factors of course. If we compare Australian healthcare with US healthcare system, what basically differentiates them is largely the way public health care (Australian Medicare) is guaranteed to everyone. Australia’s Medicare is public health insurance that is available to all, in contrast to the USA Medicare which is a seniors-only government program. Australian citizens must be very contented that most of the health care expenditures are paid by the governing bodies. Then people have health insurance on top of that – with dental, optical, surgical, hospital etc. This is what they have in Austria, which helps to bring our overall taxation down per the calendar year. Healthcare System Australian, Good or Bad? It is now important to discuss what are the pros and cons of the health care system in Australia. We shall discuss the pros first, followed by cons. Health services are financed and controlled by the federal Australian government. Australian “Medicare” is a tax-funded public insurance program that is free for all that includes physician and hospital facilities and part of the cost of prescriptions. Special benefits for the family are also provided. The primary role of the Australian government is to fund, and doctors and hospitals determine the quality of medicine. It is not only the patients who receive benefits from the government’s health care program but also the doctors and physicians who either earn a salary and are able to receive additional fees for seeing private patients while working in a public hospital, or hourly compensation is given to them if they are in private practice, for treating public patients. It seems to be a win-win situation here for the Australians. Private insurance is received by half of the Australians as an additional coverage, which is subsidized or sponsored by the government, and it covers services like dental care and private hospitals. 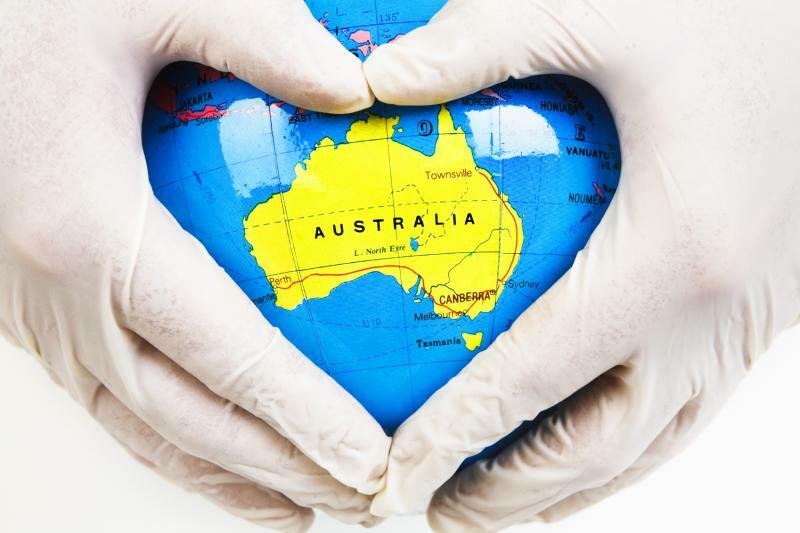 In the English-speaking world, the death rate in Australia from medical care is one of the lowest. It is even lower than that of the USA and the UK! That really is a wow situation, considering this to be a society’s fundamental portion. There is equity of access to health facilities & services. One of the most common complaints about the Australian health care system is that there are a very long waiting list for many hospital medical procedures and people have to wait long before they get an appointment and there is wait even if they have a scheduled appointment. In comparison to other developed countries such as the USA, UK, Canada, Germany and the Netherlands, Australia’s healthcare system has been ranked last by the Commonwealth Fund regarding overall accessibility of appointments with primary-care physicians. There are problems and difficulties with health workforce supply and distribution in Australia. Persistent concerns about the quality and safety of health services have affected the basis of Australian healthcare system. The Australian government feels challenged and concerned about the role of urban planning in creating healthy and sustainable communities; and that it should be understood that in order to achieve equity in health, especially for Indigenous Australians, requires more than just providing health care services. The next Australian Government will face major challenges in the funding and provision of health care. Internationally, Australia health care system is well ranked, as reflected in Australia’s continuing high average life expectancy and low rate of infant mortality. These advances are now under risk as an aging population, the growing burden of chronic illness and the increasingly outdated organization of Australian health services stretch the health care system. Inequalities in health between Australia’s most and least advantaged nationals persist and are the sentinels that remind us that there is no room for complacency, or for inertia in reforming Australia’s health care system.